In this article let us review how to perform normal file operation on a compressed files using the powerful Linux Z commands. Some of these z commands uncompresses the file temporarily in the /tmp directory to perform the specified operation. 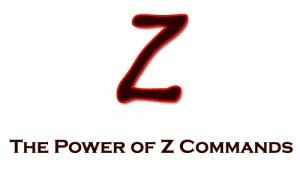 Some of the z commands uncompresses it on the fly to perfom the specified operation. But, under any case, z commands gives the peace of mind, as you don’t want to worry about the overhead of uncompressing the compressed file to perform an operation. Viewing the compressed file with zcat. Paging the compressed file with zless / zmore. Searching inside the compressed file with zgrep / zegrep. Compressing a file using gzip creates a compressed file with *.gz extension. You can view a compressed file with zcat with the following way. Which would be as same as the uncompressed file operation ‘cat filename’. zcat uncompresses the file and shows it in the stdout. Example 2: View a gzipped file which don’t have the gz suffix. You can uncompress a gzipped file which don’t have the gz suffix. If you try to uncompress a gzipped file which don’t have the gz suffix with “gunzip” or “gzip -d” command you will face the following error. Example 4: Paging the compressed file with zless / zmore. Note: To open any kind of file type, refer to our previous article Open & View 10 Different File Types with Linux Less Command – The Ultimate Power of Less. Example 5: Searching inside the compressed file with zgrep / zegrep. Note: Become familiar with the grep command by reading our earlier article Get a Grip on the Grep! – 15 Practical Grep Command Examples. This article was written by SathiyaMoorthy, Author of of Vi / Vim Tips and Tricks articles. The Geek Stuff welcomes your tips and guest articles. Thanks a ton for the article…I will definitely use is as I have to grep through compressed history logs quite often. Can you tell me though which is faster zcat |grep *expr* or zgrep *expr* ? Is there a Z equivalent for “ls” like zls? zcat is not working for me because my gzip file is made up of multiple files. What is the unix command to display the filenames in the gzip file? Thank you ahead of time. Where are zhead and ztail? I have a “file.tar.gz, that is made by other gzipped files. How to zgrep a string in the inside 1.gz and/or 2.gz , without decompressing all files? This is a example. In fact I have 18G gz files, with thousands of gz files from a period.